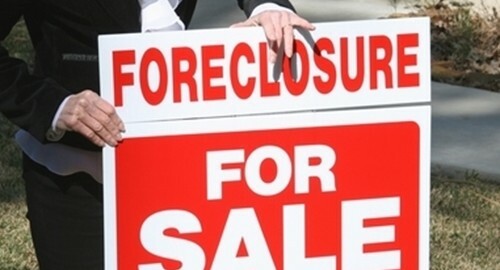 When the housing bubble burst as a result of the Great Recession, a whopping 4.8 million borrowers lost their houses to foreclosure, reports CNNMoney. But, as the real estate market and the overall economy continue to recover, many of these former homeowners are getting ready to invest in a property once again. According to the source, foreclosures and short sales can lower credit scores by 85 to 160 points, making it difficult for people to build that number back up and move forward. In some cases, it can take three to seven years for a score to fully recover, leaving individuals in a state of limbo during which lenders are wary about working with them. Mortgage giants Freddie Mac and Fannie Mae require defaulters to wait five years and have a minimum credit score of 680 before they can purchase a house again. Banks are a bit more lenient, as the Federal Housing Administration allows them to issue loans three years after a foreclosure or short sale. During the waiting period, many people work on building up their credit score. Susan and Dave Edwards, for example, were fortunate enough to get a Veteran's Administration-backed loan just two years after losing their property to foreclosure. Other former homeowners, like Tim and Christina Duy, are eager to buy another house, but are stuck waiting it out. "We're in the penalty box for another year, maybe," Duy told the source. "I see houses just what we want selling for $185,000. I would jump all over that if I could." As the economy improves and people begin bouncing back to a point where they can consider investing in property, lenders will need to be prepared for this potential influx of borrowers. Loan management software can ensure that these individuals stay on top of their monthly payments and remain financially responsible.